We are always on the look out for great products and we loved these children's backpacks from Beatrix New York as soon as we saw them. They are a little more expensive than our other backpacks for children but really high quality and would make a lovely gift for a child starting nursery or school. Beatrix New York is a US based company devoted to creating cool, contemporary stuff for kids. Beatrix New York backpacks combine a childlike love of whimsy and imagination with a grown- up sense of modern design and style. This Little Kid Backpacks are embroidered with a cute character and will hold everything a child needs for a busy day. This nursery backpack is made from durable nylon and easy-to-clean laminated canvas. Little Kid Backpacks have a small interior zipped pocket, padded back panel and padded shoulder straps. PVC free, lead This Beatrix Big Kid Backpack is large enough to hold text books, lunch, a laptop and more. One of our favourite designs if the Papar Owl. The Papar Owl Big Kid Backpack is made from durable nylon and easy-to-clean laminated canvas. These children's backpacks have a large interior with a small interior pocket, a large front pocket and two side pockets, padded back panel and padded shoulder straps. PVC free, lead free, & phthalate free. 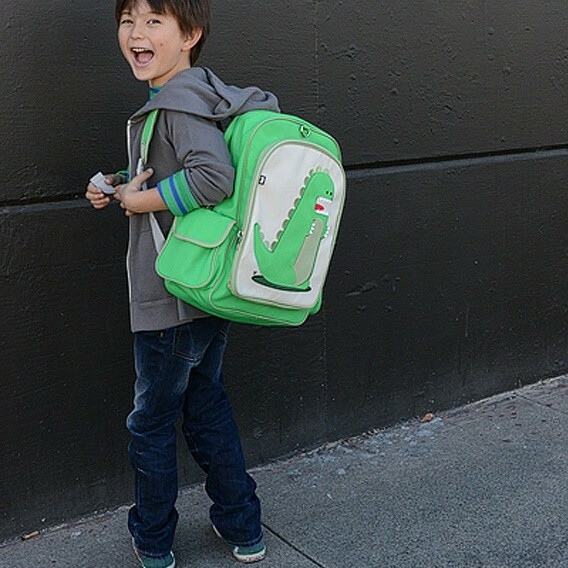 We particularly like the Percival Dino Big Kid Backpack. Two child are really very brilliant as well. I like to see them drawing something on the black board. My child John also like this types of things. My kids are studying in Mosaic Nursery which is situated in Dubai. This is a nursery with very big rooms and maximum 16 kids per class. There are well qualified teachers and they do creative activities. Thanks!